Coworking spaces have grown exponentially ever since the very first one was introduced in 2005 at a feminist collective in San Francisco. These little hubs where independent workers, some freelancers, some telecommuting from their offices, can grow their own community are growing ever more popular around the world. They’re becoming more popular here, too. As far back as 2014, you could count the number of coworking spaces in Metro Manila with one hand. 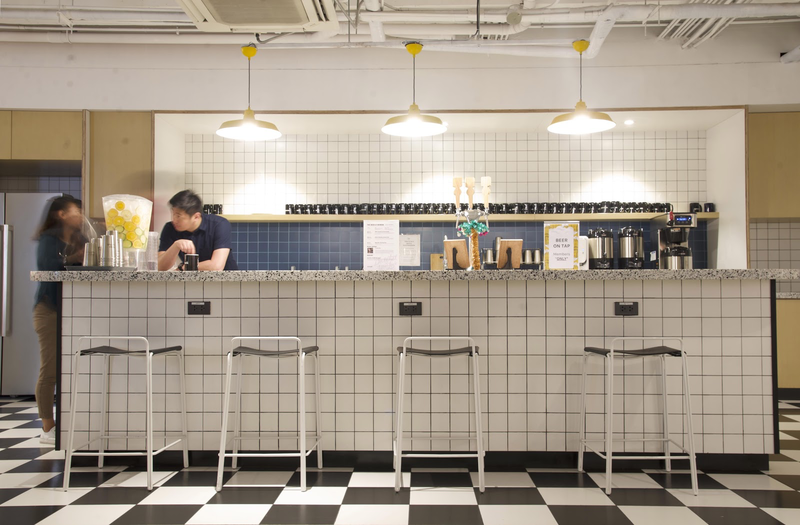 (Read: Coworking spaces are the new office framework) Now, I can name at least three that opened in the last six months (that’s Macao Imperial’s coworking space, Space 1851 Coworking Hub, and WeWork in BGC). 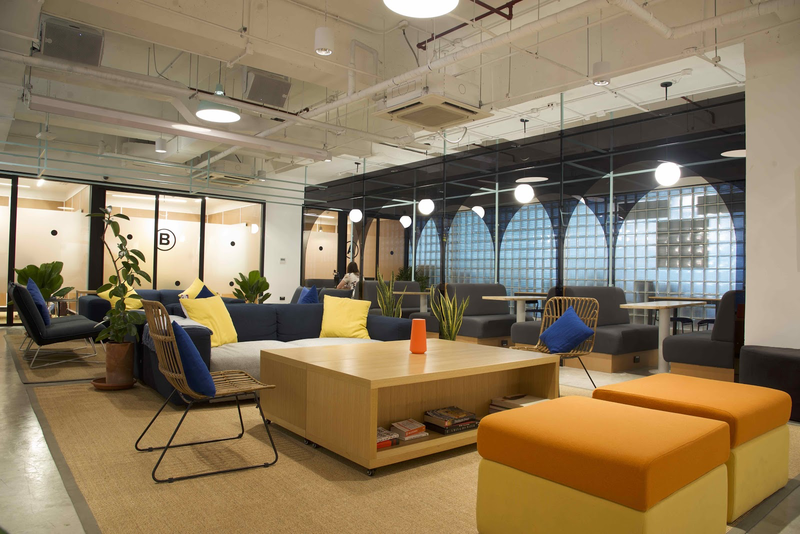 WeWork is actually one of the biggest coworking hubs in the world, though it has only entered the Philippine scene this year. Opened last February, it’s at the 9th and 10th floor of Uptown Bonifacio’s tower three. 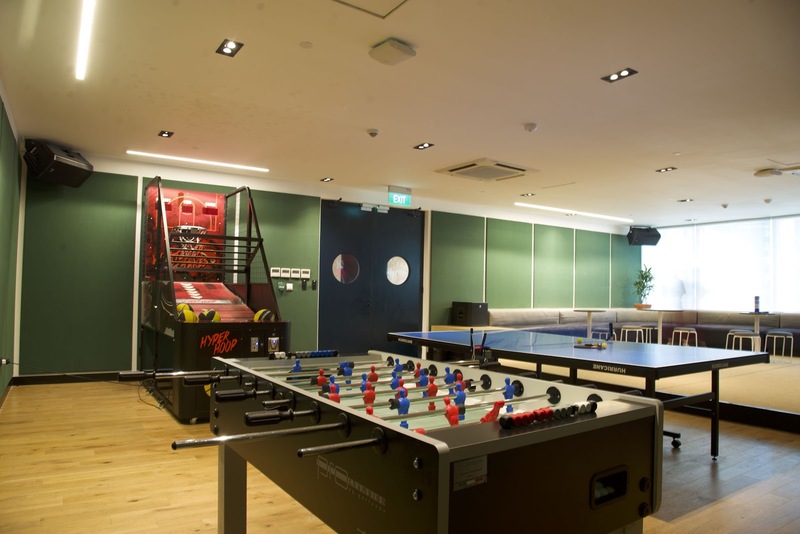 One of its unique features is its gaming room, which also doubles as a karaoke room. It’s something that’s only present in the Philippine branch, which goes to show that WeWork’s done its research. After all, karaoke’s an integral part of Filipino life, as shown by the many movies involving scenes where drunken, brokenhearted characters sloppily sing at a karaoke room (English Only, Please, and That Thing Called Tadhana immediately come to mind). It also has a colorful mural by Bitto (Read: Artists to check out this Art Fair 2019), whose signature brightly colored abstract art style depicts scenes of Filipino bayanihan. 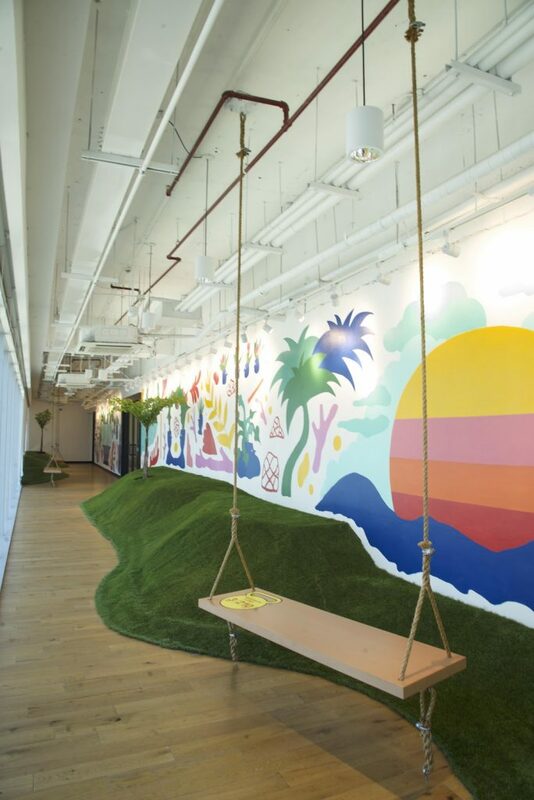 The mural is at WeWork’s indoor hanging garden, which also features artificial grass turfs and swings. Heads up: Its pantry is also stocked with tap beer, among other drinks (follow in Nick Joaquin’s footsteps and create your best work with a mug of beer by your side). If you’re not a fan of the “write drunk, edit sober” lifestyle, they also have coffee stocked by Commune. For more information, visit WeWork’s website.